Adviser to the Tax Justice Network and the TUC on taxation and economic issues. He is also the director of Tax Research LLP. 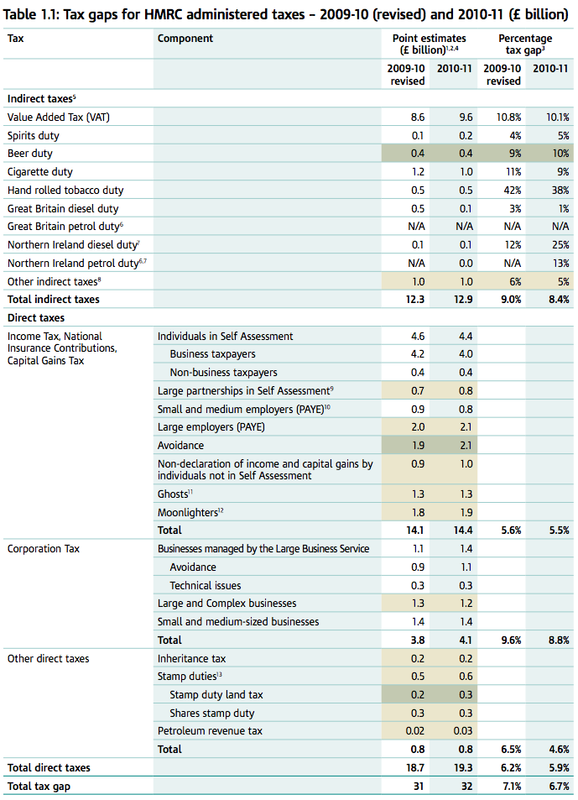 I admit I have not the time or energy just now to spend a lot of time on HMRC’s new tax gap data. Non or late payment of tax declared to be due but not paid on time, i.e. late payments and bad debts suffered by HMRC. So let’s just make a few observations on why these look implausible. First, because HMRC choose to ignore it none of the tax avoidance by Google, Amazon, Apple, Starbucks, Facebook and others is in here: that’s done with official sanction so it’s not going to be counted even though the world at large can see what’s happening. If you want the clearest example of why the numbers are wrong, this is it. The number of LBS (Large Business) Corporation Tax avoidance risks and technical risks subject to litigation has decreased by around 16 per cent between 2007-08 and 2008-09, from 342 to 288. The effect on the tax gap is offset by an increase in average tax under consideration (TuC) per risk from £8.2 million to £9.5 million. That, in itself is an amazingly small number (do they really mean million?) but the message is clear: the case work is not being done and the tax gap is not being measured as a result. Third, let’s consider the likelihood that tax avoidance by people on PAYE costs just £400 million a year. You mean all those bankers on all that pay only avoid £400 million? Oh please, pull the other one. Or just simply note the number of aggressive tax avoidance schemes being litigated, some involving billions, and realise this is not credible. Fourth, let’s note that this tax gap loss records nothing at all resulting from the maybe 1 million or more personal service companies in use in the UK at the moment, even though they have been subject to much scandal of late. HMRC does not recognise this as tax avoidance so the several billion lost due to avoided employer and employee NIC and tax lost due to income shifting to partners and spouses all misses this estimate. Amazing, despite the political scandal attached. And just for now let’s note that HMRC officially think that although maybe 35% of all companies asked to make a tax return in the UK each year fail to do so none of this results in tax evasion. Which is, respectfully, just plain daft. To put it another way, these numbers are manipulated to show a wholly distorted view. For a better one, see here. 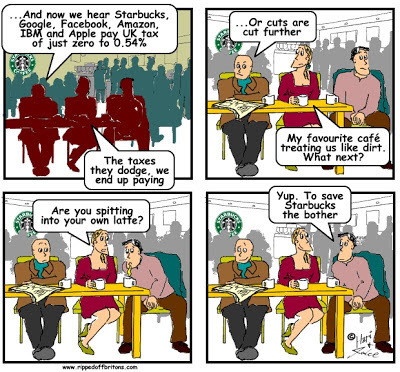 Richard Murphy know's his tax, the chap is brilliant. "Paying for something that doesn't directly benefit us." Really? Paying for a civil society isn't directly benefitting you? May I suggest that if one does not want to pay towards our society, one should push off elsewhere. The current and previous governments have decimated Customs and Income tax staff closing offices and reducing officer numbers . The experienced staff are either gone or demoralised unable to do there jobs properly. As such the powers c that be manipulate figures to try and say all is well.its a lie and getting worse , you can't chase tax debt with no staff , you can't get lost tax when government colluded to not collect. BRITAIN IS A CORRUPT CULTURE (doubly so because Britons live in a haze of belief that we are run by"pretty straight kind of guys", having been Goebbelised by state propaganda.) The true situation is dire beyond cognition. Murphy delineates just one of many facets.Whither?